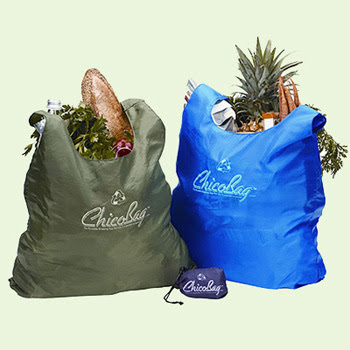 Continuing on with the reusable bag series, I'm loving the ChicoBag! My friend Natalie (an upcoming house guest on t+t) suggested them. 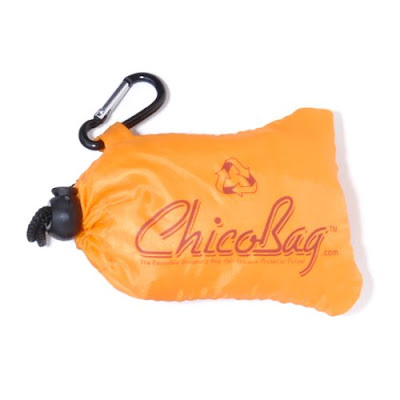 They're designed to be unforgettable (mission accomplished), only five dollars, available in 10 different colors and complete with a carabineer clip that easily attaches to a purse, diaper bag or even your key chain. I am always on the lookout for easy to use bags and this looks like the one to get. Thanks for sharing! seriously has to top the list as one of the best. looks like I may need to order some as I make my switch over from plastic. i have two in my purse at all times, they hold a surprising amount of stuff! Thanks for the great tip! !